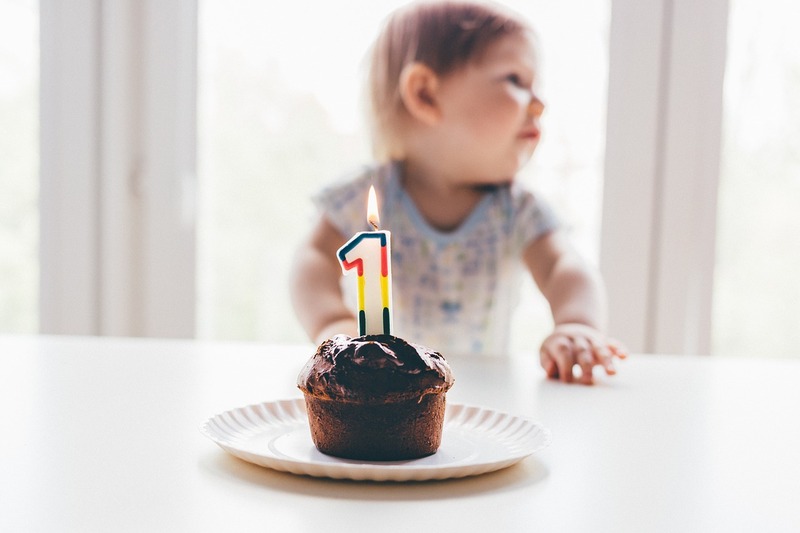 Is your little one about to celebrate their first birthday? Whether you plan to go all-out for the party of the century or are just planning a low-key celebration at home, incorporate these 8 ideas into your party to make sure it goes off without a hitch. There will be no other year in your child’s life that they will change so dramatically. 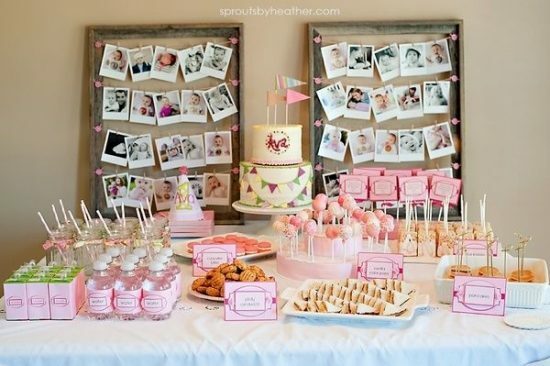 Print out those pics that are trapped on your phone and use them as decor at your baby’s party. 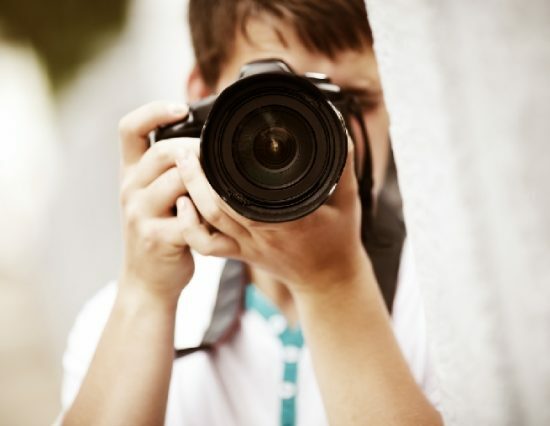 You may opt for 12 monthly photos to show their developmental progression, a collection of your absolute faves strung one-by-one on twine for a customized banner, or organize them into the shape of a “1” on poster board for unique wall decor. What’s better than the classic picture of a baby completely covered in birthday cake? Whether you choose to serve a traditional cake to your guests or skip it in lieu of cookies or other treats, get a specific smash cake for your little one. If you’re ordering a custom cake, a lot of bakers will throw one in for free if you ask. Otherwise, just pick up a cupcake from a local grocery store bakery or make your own with store-bought bake and frosting. Your baby won’t be able to taste the difference, anyway. Kids change so much from year to year that it’s fun to capture their likes and dislikes. Display a memory board that captures their vital stats – height, weight, milestones, fave toy, best friends, and cutest characteristics. You can order these artsy, customized posters for fairly cheap on Etsy. 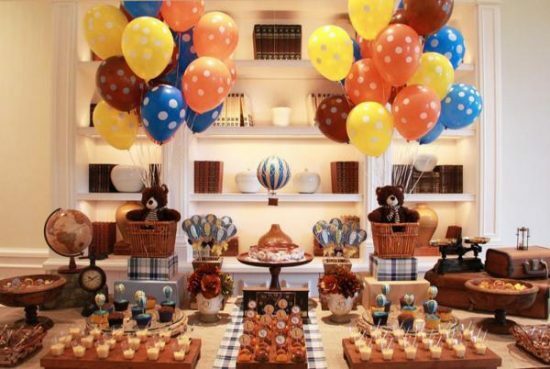 One of the best parts about hosting a first birthday party is that the guest of honor is too young to have strong opinions about the theme – so you can pick whatever you want! 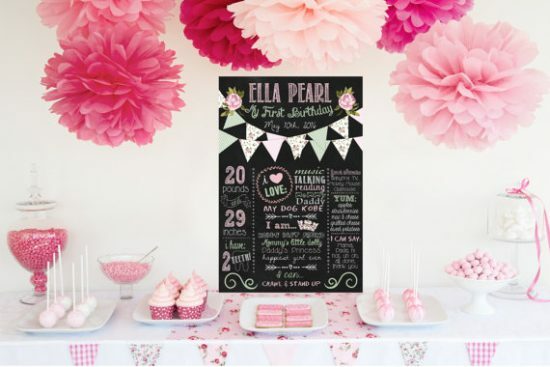 Whether it’s a princess theme, filled with circus decor, or based on a classic story book you love to read to your little one, choose a theme that you’ll have fun bringing to life. Because this celebration is more for you, anyway. We get it. Not everyone can afford a photographer to capture their baby’s first birthday. 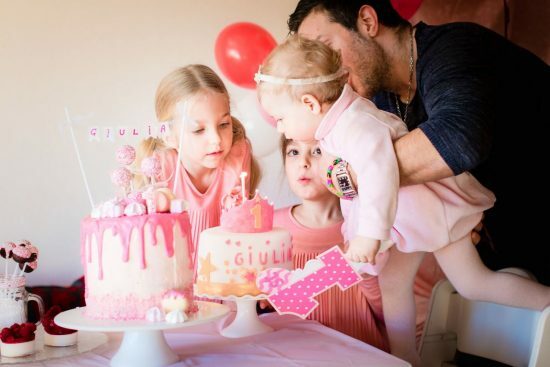 If you can’t, hand over the camera to a friend to take pictures of your baby as everyone sings “happy birthday” and your little one digs into their cake. It’s an extra-special moment; you deserve to be fully present and enjoy it with your baby. 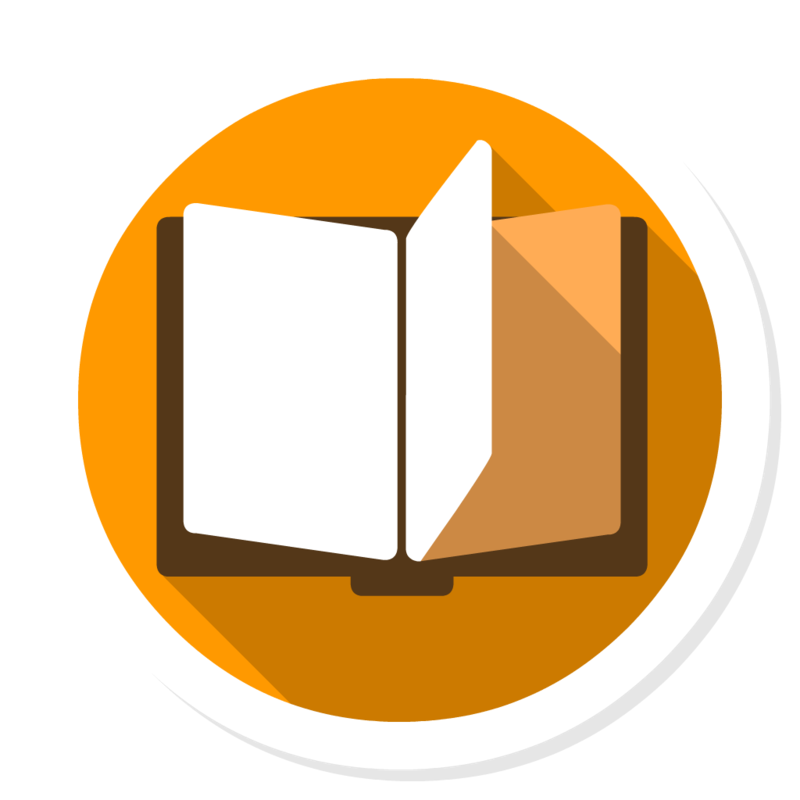 Outsource this task and don’t try to do it yourself, even if you don’t hire a professional. If you’re spending time on Pinterest, you’ll probably be overwhelmed by the variety of activities you could potentially plan for the party. But I’m here to tell you the truth: You don’t need to do any of this for a first birthday party. All that babies want to do is crawl around and eat. So focus on the food and decor to make your event festive; give yourself a break and don’t worry about activities. You may hope that your baby’s first birthday goes perfectly, but they could have different ideas. 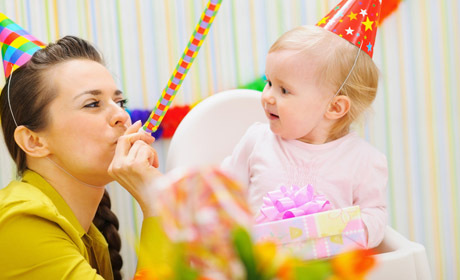 The people, colors, and noises could be super overwhelming for your little one and they may not cooperate or fall apart mid-party. Keep your vision for the party secondary and remember your baby’s needs come first. Don’t make them eat the cake if they’re not interested, skip the gift opening if they can’t handle it, and even put them down for a nap mid-party if they need it. 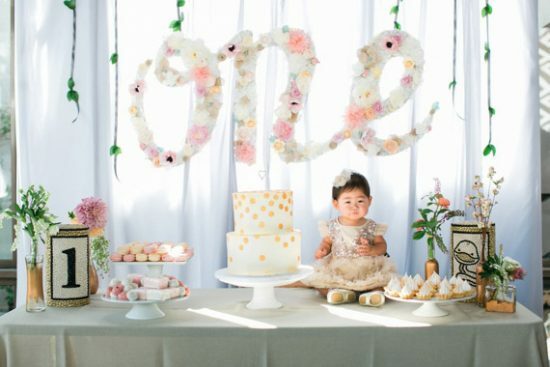 Before you start inviting everyone to your little one’s first birthday party, consider your venue, budget, and socialization preferences. You don’t need to invite their entire day care class if you don’t want to. And if you only want to have close family, that’s okay, too. The bigger the party, the more work for you. Remember, this day is about celebrating your baby. Choose to invite the people that matter, and don’t feel bad about limiting the guest list if you need to. Your baby won’t remember their first birthday. But they’re still worth celebrating, and you deserve a celebration for surviving their first year! 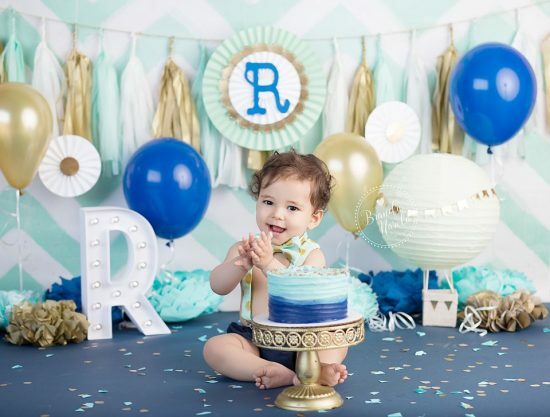 By incorporating a few personalized details into your baby’s party and not getting caught up in the things that don’t matter, you’ll be able to throw a memorable and stress-free party for your little one. And when they get older, they’ll be able to look at pictures from their first party and know they were loved. In the end, that’s all that matters! 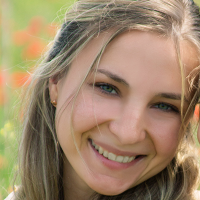 Jenny Silverstone is a coffee connoisseur, mother of two and a blogger for Mom Loves Best, where she loves writing about her journey through motherhood and all things related to babies, health, and being a better person.